Rocktape, the NSPCC and the Brighton Marathon! 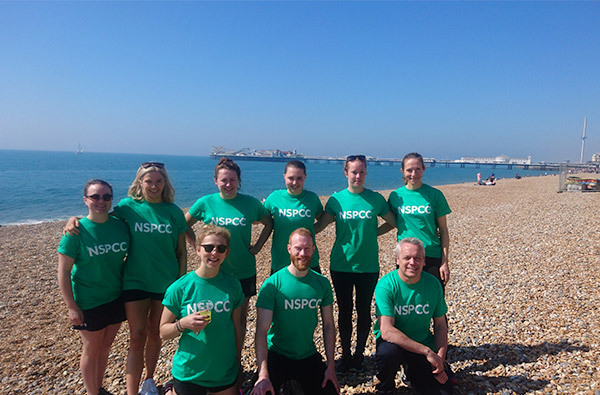 Sunday 9th April was an exceptionally sunny and warm day for the runners of the Brighton Marathon which included 80 NSPCC fund raisers who raised over £50,000 for the charity. A major part of the NSPCC fundraisers post-race reception is the very welcome sight of the row of massage tables with soft tissue therapists waiting to soothe the aching limbs of the runners and for the past 4 years Rocktape have been donating rolls of tape to help support the NSPCC runners after this and a number of other events which include the London Marathon and the Gherkin Challenge. I have been using RockTape in my private clinic since working at the London Olympics, and even though I have not found a better tape, this year RockTape donated rolls of their H2O tape which has twice as much adhesive on it. Last Sunday we found it invaluable when treating runners who have just spent 3-7 hours in the sun, coming in with aching and very sweaty legs! The day consisted of runners hobbling in with sore ankles where we used RockTape to help support the lateral stabilisers of the ankles, as well as plantar fascia and for achilles pain where treatment this soon post event would not have been advisable. However, the support from the H2O tape made it invaluable to assist the runner in getting mobile again. Knee pain was the other main area where RockTape came into its own. As the Brighton Marathon was quite hilly, their knees took quite a load especially for some runners who were running their first marathon. Applying the H2O tape to both knees helped the runner to be more stable and confident when running and walking, as a lot of them were struggling to walk to the NSPCC runners reception and if you are old enough to remember Worzel Gummidge walking then you get the picture! 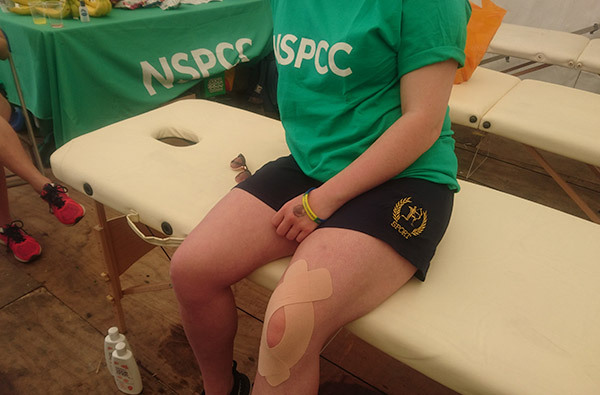 Having RockTape generously supporting the NSPCC each year allows the charity to provide more support for their fundraisers and the option of applying the tape to support the runners post event is a vital part of our post-race reception. The H2O tape is ideal for such events as the extra stickiness ensures that the tape stays on even though the day may be hot and sweaty.